HomeApps For PCTop 5 best Android Emulator Apps for Windows PC 2016. Top 5 best Android Emulator Apps for Windows PC 2016. Running Android apps on computers with all original features intact is what many long for, and that’s where Android emulator software packages come into play by facilitating seamless running of Android apps on computers. In this post we will look at best Android app emulators for PC 2016 currently available for users to run Android applications on Windows 10 and enjoy the full Android experience on desktops and laptops. 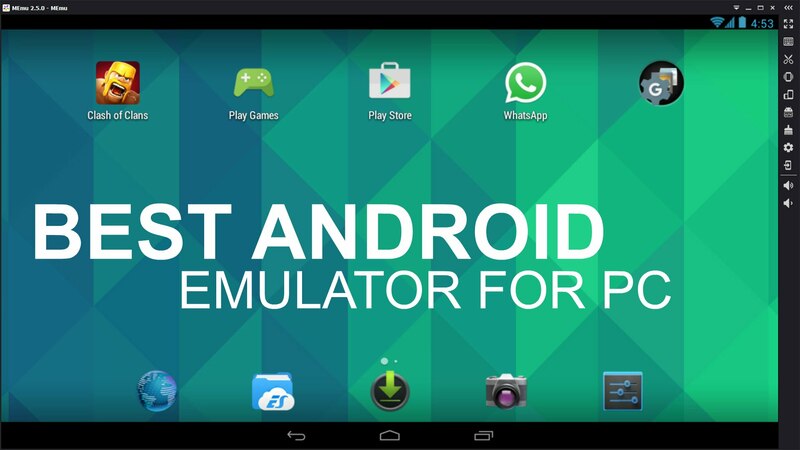 After testing various Android emulator software programs, we have come up with the following list of best Android emulators. BlueStacks Android emulator is perhaps the most popular of all Android app players in the market. Recently it has been updated for the first time bringing whole host of new changing to the interface and functionality with an aim to bring more fun features to users than even before, BlueStacks 2 is packed with all latest Android apps emulating tools that one wish to have in any Android app player package. Above list of best Android emulator software packages has been assembled primarily to assist you in choosing the best emulator tool for you to have Android Emulator apps for PC 2016 now on computers running on Windows & Mac OS X operating systems.